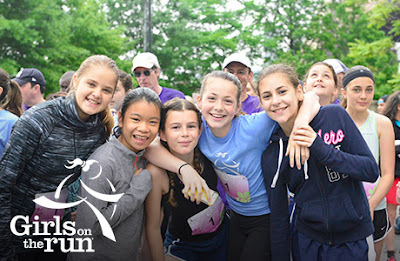 To commemorate the New York Marathon, ASICS and Runkeeper® have partnered with a fantastic non-profit organization, Girls on the Run, to promote self confidence and healthy lifestyles for young girls through running. Since the average Runkeeper® workout is about 3 miles, ASICS wants you to go the #ExtraMile and run 4! Complete this anytime between October 17 and November 30, and ASICS will donate a pair of running shoes to Girls on the Run in your honor. Each person that completes the 4 mile #ExtraMile promotion will be entered for a chance to win a pair of limited edition New York City-inspired running shoes from ASICS. Additionally, ASICS will donate a pair of shoes to Girls on the Run for every $100 spent on ASICS products from October 24 through November 7 within select New York City run specialty stores, and at participating ASICS retail locations nationwide. Limited edition New York City-inspired ASICS shoes are subject to availability. Winner responsible for taxes and shipping. Click here to sign up (or to register) for the Girls on the Run #ExtraMile promotion on Runkeeper.